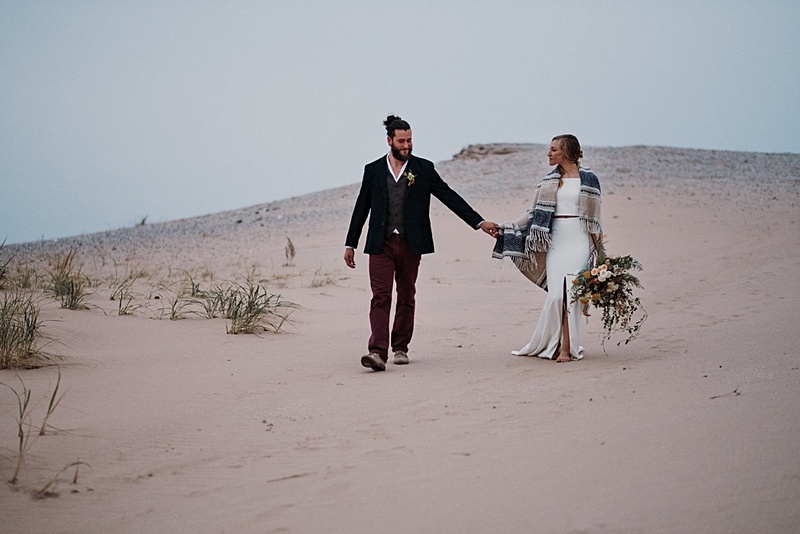 Last fall, I asked Kendall Rose to style her dream Michigan elopement. 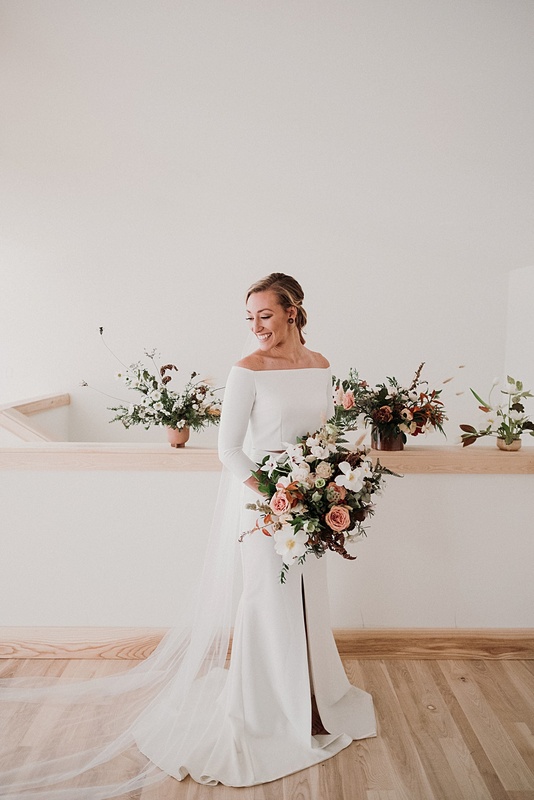 If you don’t know, Kendall is a “real and chill” wedding planner who loves natural, earthy, somewhat understated design. 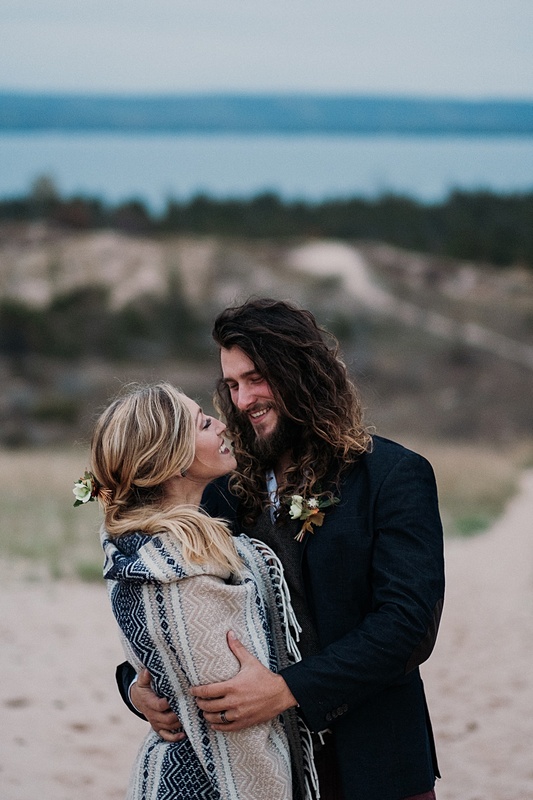 Kendall is the owner of the Revel Rose, a Northern Michigan wedding planning company. You should definitely check out her instagram. She’s witty, fun, and full of inspiration. 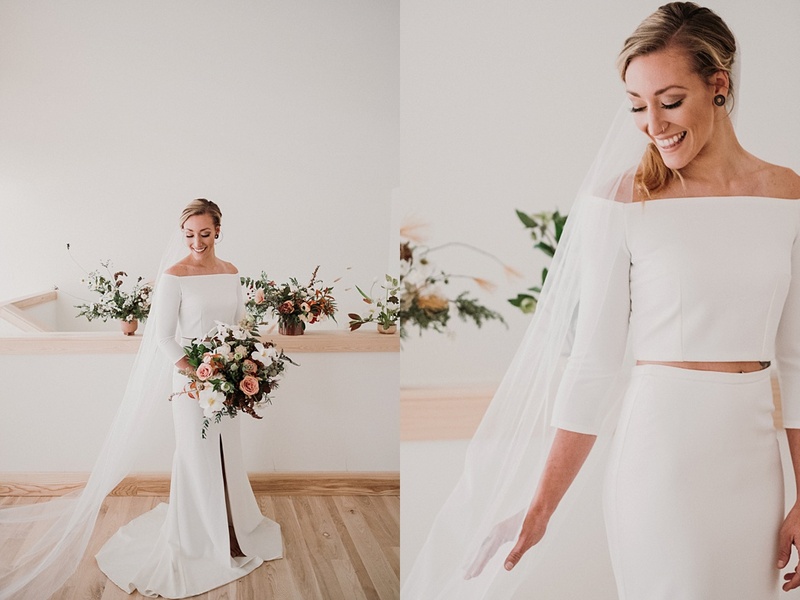 Now I’m very excited to share some of my favorite images from this styled wedding as well as Kendall’s thoughts on her design choices and getting married in Northern Michigan. 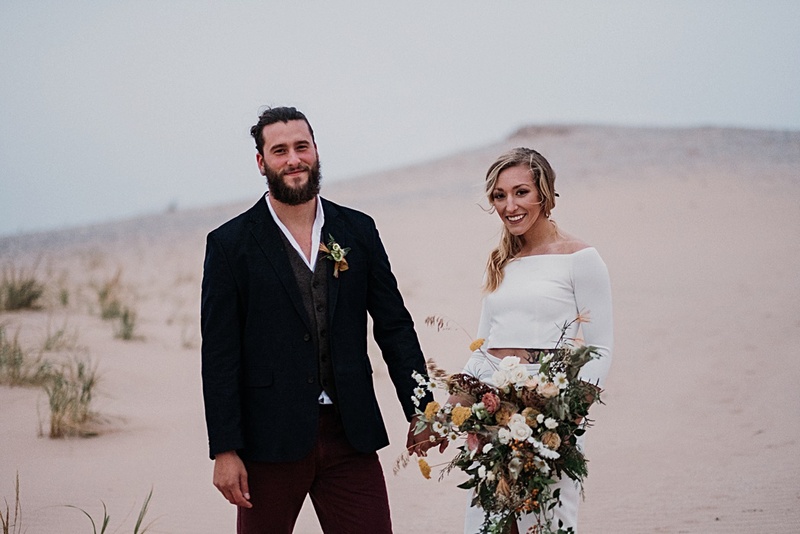 Take a peek at what we created and scroll down to hear what Kendall has to say about Nature Michigan Retreat and getting married in Northern Michigan. What do you love about living in Northern Michigan? This area holds a lot of excitement for me because I love anything outdoors, and I have always loved the woods. I am so thankful for all of the trails we live by, how active everyone is, and our little three acre homestead in Lake Ann just twenty minutes outside of Traverse City and 15 minutes from the beach. I also love the intensity of the seasons, they can’t be ignored and I like how everyone is so open to stepping away from work for a bit if it’s a particularly beautiful day so they can get outside and enjoy it. There is not a lot of ‘relaxation’ shame like you get in some bigger cities. 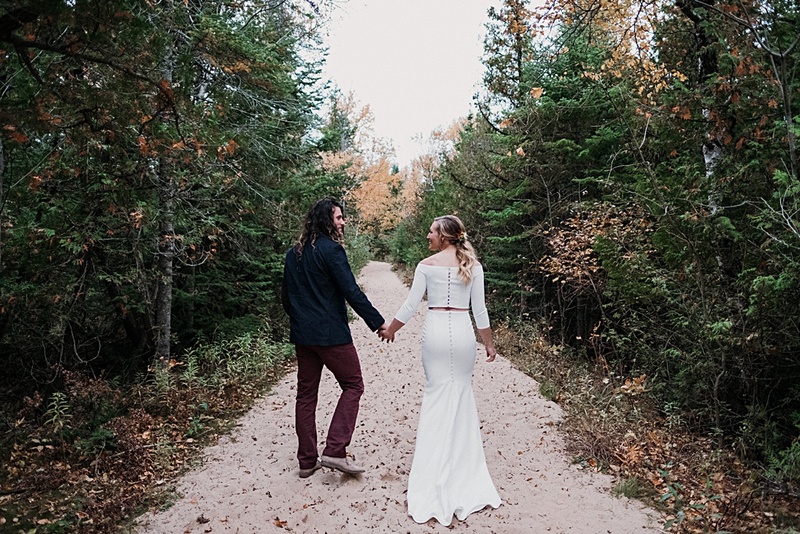 I spend almost every day in Traverse City working and enjoying tiny city life, and at the end of the day, I love going home to the quietest little rural road. 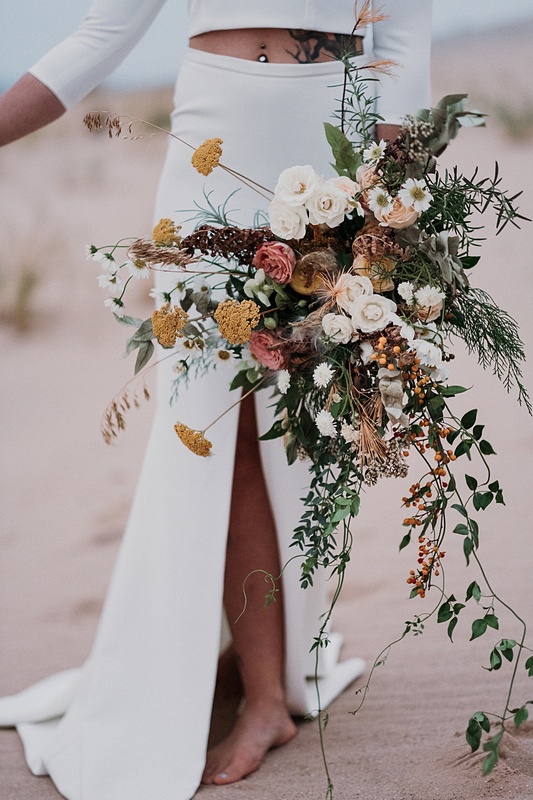 There are so many small, family-owned and operated business in the area, and very few chains or franchises in Leelanau County, so living up here feels like stepping back in time in some ways. Northern Michiganders seem to value tradition, and knowing where things come from and who makes them. 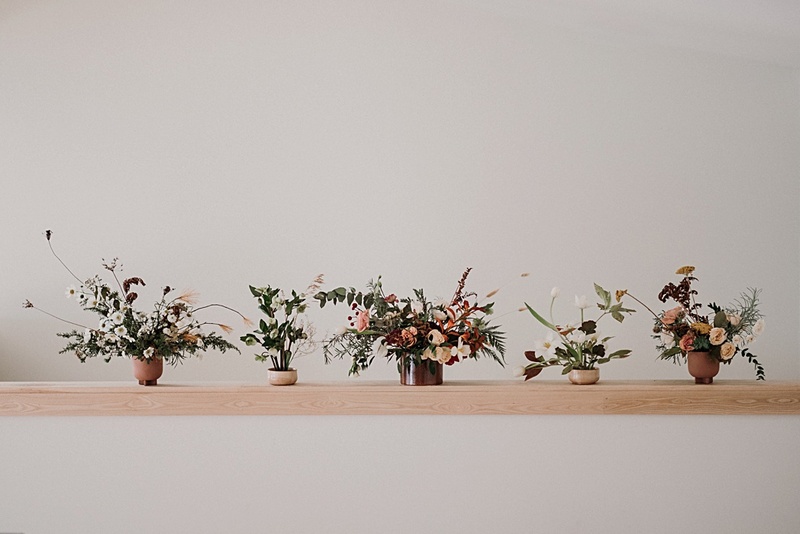 I’ve found that it’s a very supportive place to start and grow a business. 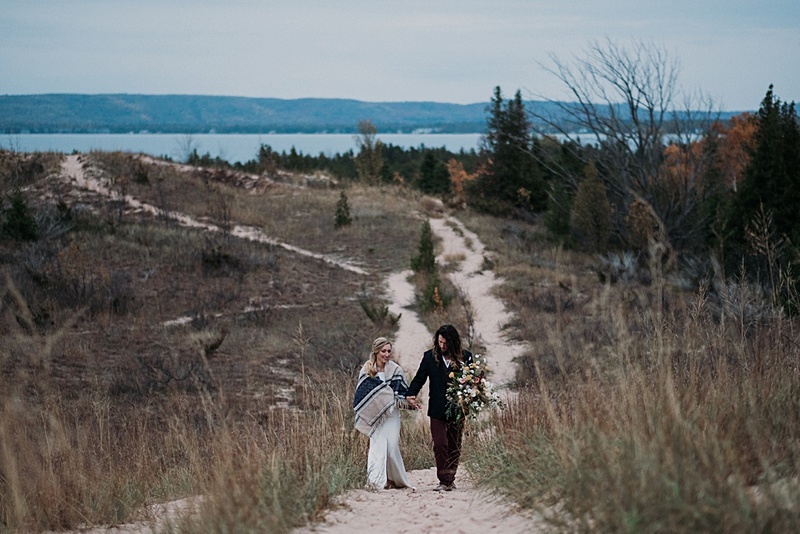 What inspired you to plan a styled wedding at Nature Michigan Retreat? When we moved up here, we lived on Burdickville Road in an old cottage and we quickly became friends with all of the other year round neighbors on our street. 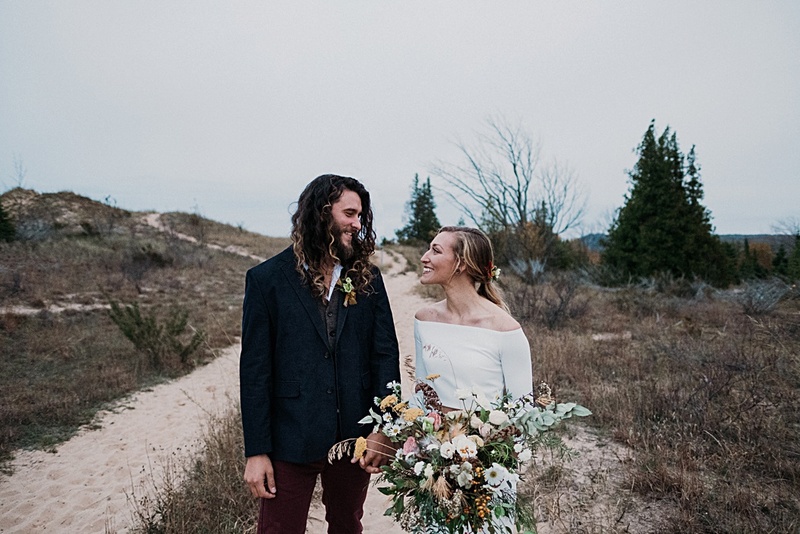 Everyone was talking about how this French couple was starting an eco-retreat down the road! I was so excited and for so long I was trying to figure out who they were, and it turns out they were my neighbors, Bryan and Emma who traveled a lot. We had moved, but I emailed them to find out more, and I visited the construction site of Nature Michigan Retreat soon after. I fell in love with their vision, and how special it would be for our area. So often I hear Northern Michigan described as this over-touristed, wino, Life is Good, old rich people haven full of McMansions. This really shallow understanding of what “Up North” truly is. I think there is SO much more up here than that. 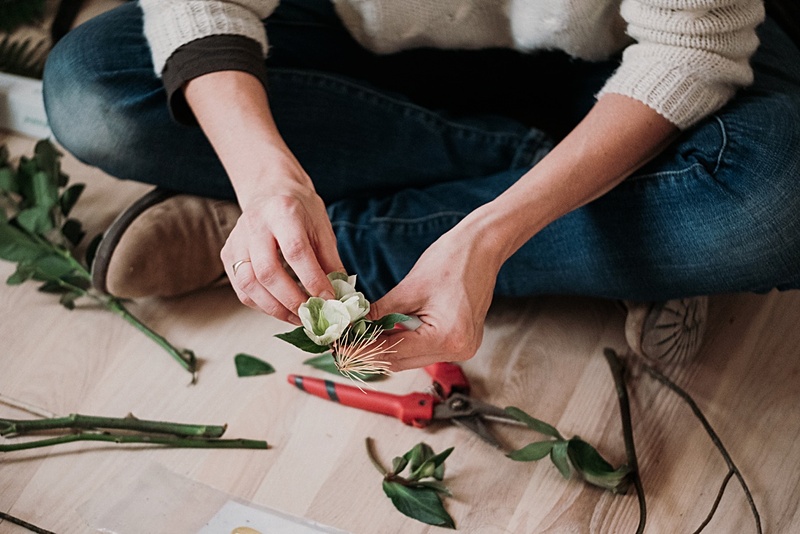 There are tons of hardworking, resilient, and really creative people at different stages of life. People who love and value our land and their relationship to it. Families who’ve lived up here for a century. 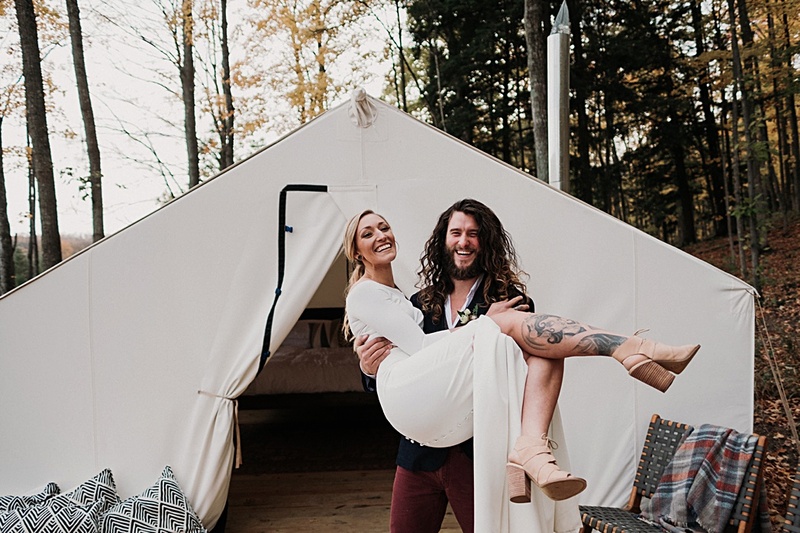 As a wedding market, I’m not sure that Northern Michigan always gets credit as an industry leader for unconventional weddings, and that’s okay. 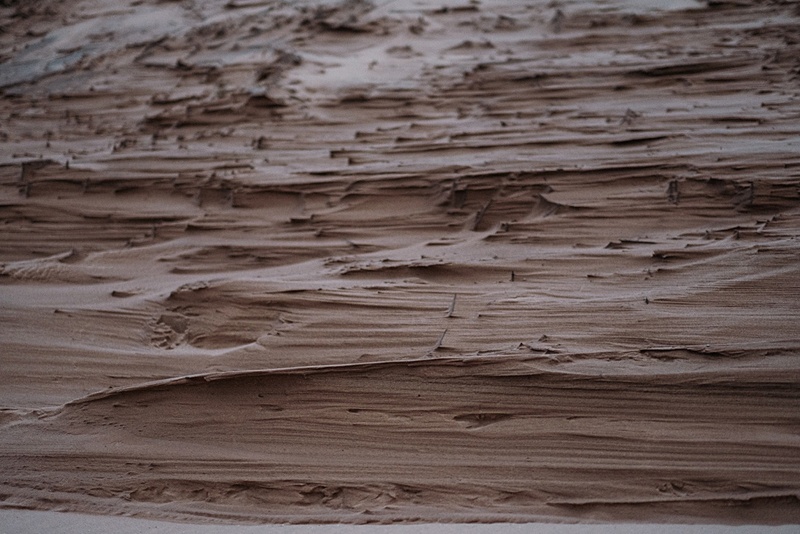 We’re not on the coast, we’re not Detroit or LA or Australia or frikkin Joshua Tree. 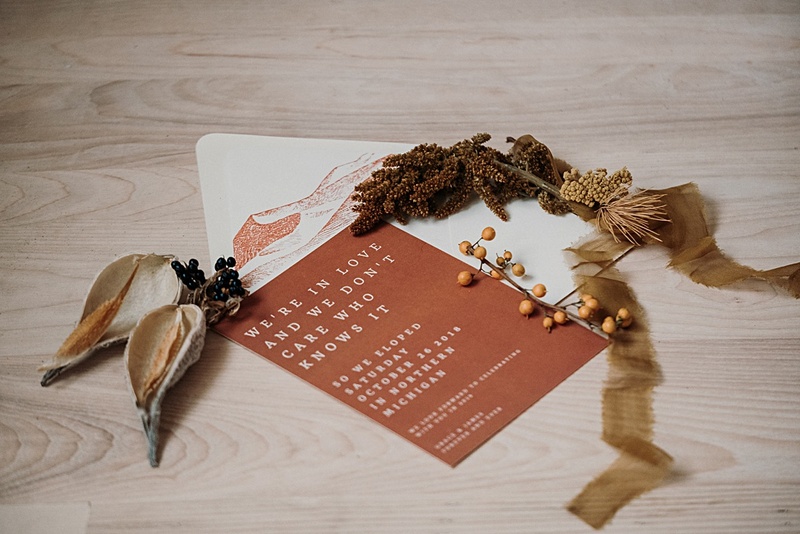 But I’d really like to start appreciating how many new and emerging creatives there are in the wedding industry up here, and how well they balance with the more established wedding vendors because there’s this pretty respectful, tight sense of community among the industry I think. And that’s what this shoot was about. Giving people an alternative venue and vibe. 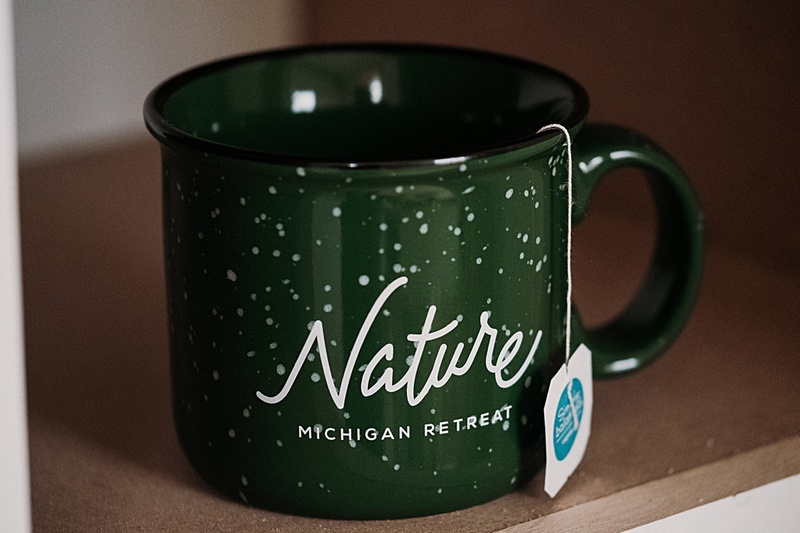 Nature Michigan Retreat is new, and conceptual, and flexible, and is a concept that does really well in places like the Pacific Northwest. 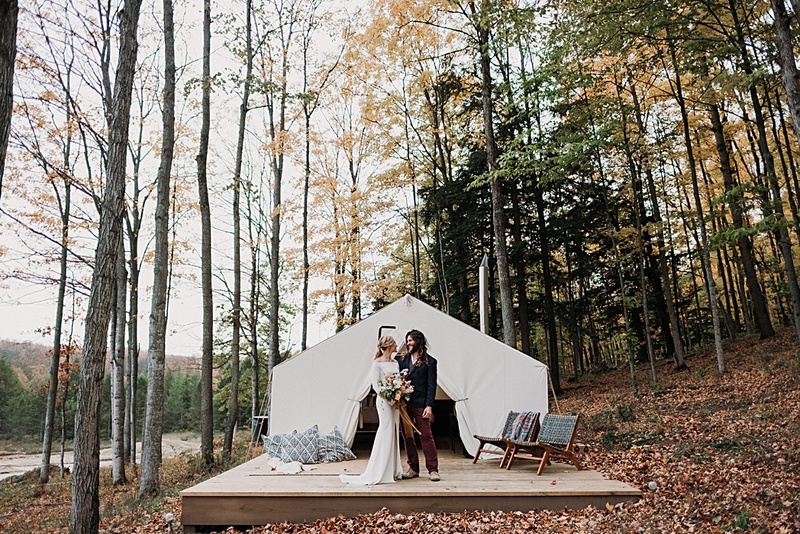 Outdoor communities with adventurous people who do care that the floors were made from ash trees harvested on the property and want their guest to glamp for the entire weekend and enjoy a yoga class with them the morning of their wedding. 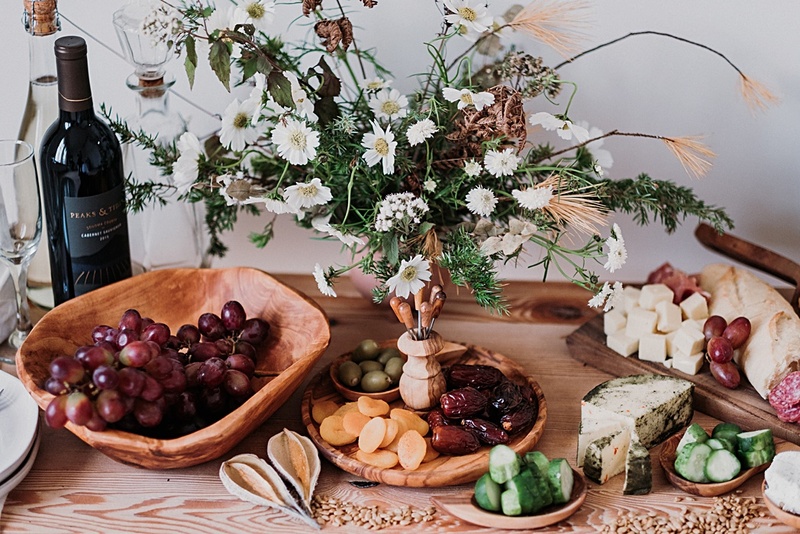 Crunchy granola wedding stuff. Nature Michigan Retreat has incredible design and scale for events, and is something unique to this area. It’s a huge risk to see if it will be well received and take off, and it’s been such a testament to watch Bryan and Emma work to establish it. 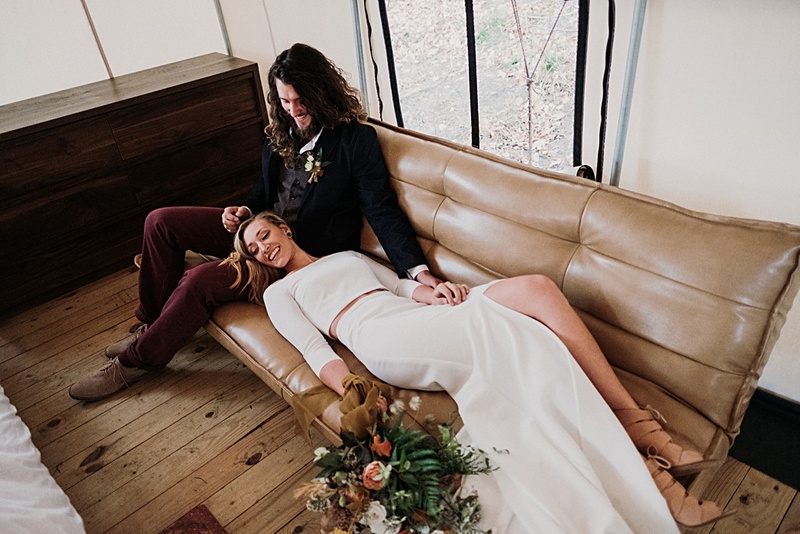 Seeing something in the beginning phases is hard, and when you approached me about doing a shoot that would be adventurous and spirited, I wanted to honor the work and vision that has gone into Nature as a new venue, somewhere I’d love to plan weddings for couples some day. 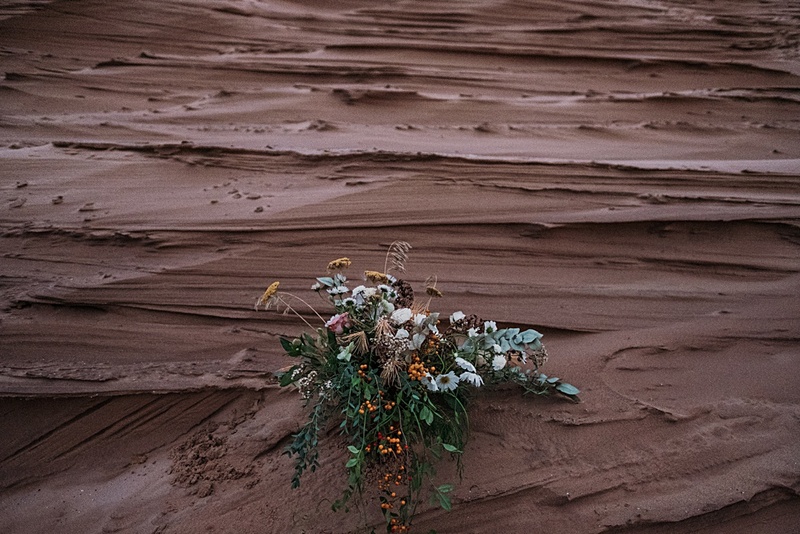 What photos are you most excited about? 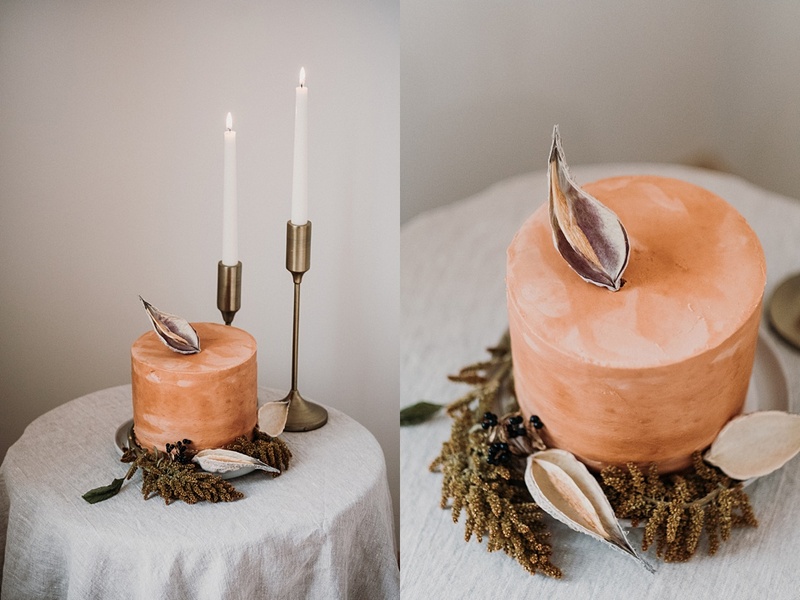 I love the portraiture that was achieved with the good lighting and clean backdrop, I love our minimalist modern tablescape that really represents what we’d love clients allow us to do if they are having an intimate wedding, and I am loving the sneak peeks of those trees I love out in the dunes. Those are my favorite trees in the Park and I’m glad we got there right at dusk to see them. 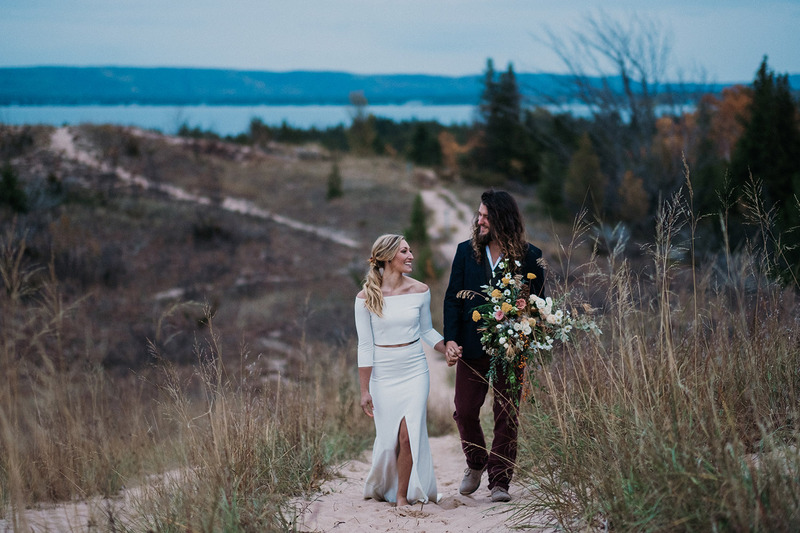 What excites you about planning weddings in Northern Michigan? 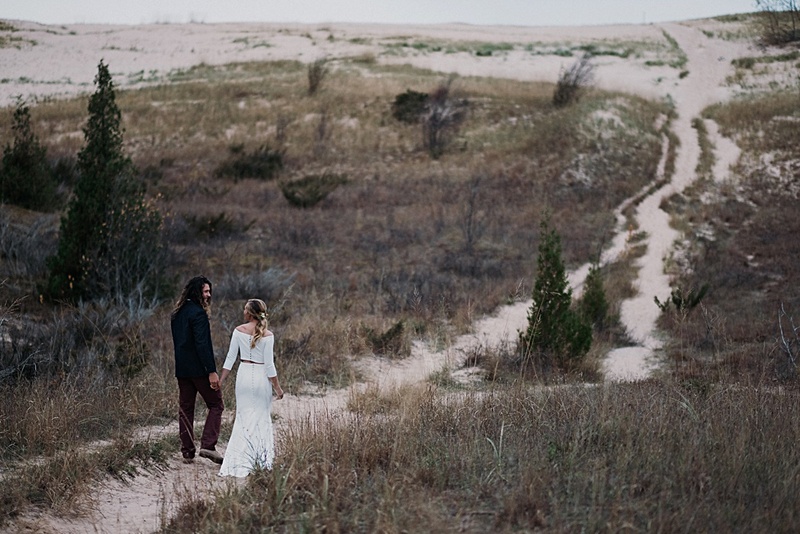 I love that everyone getting married up here has a story about why this place matters to them. 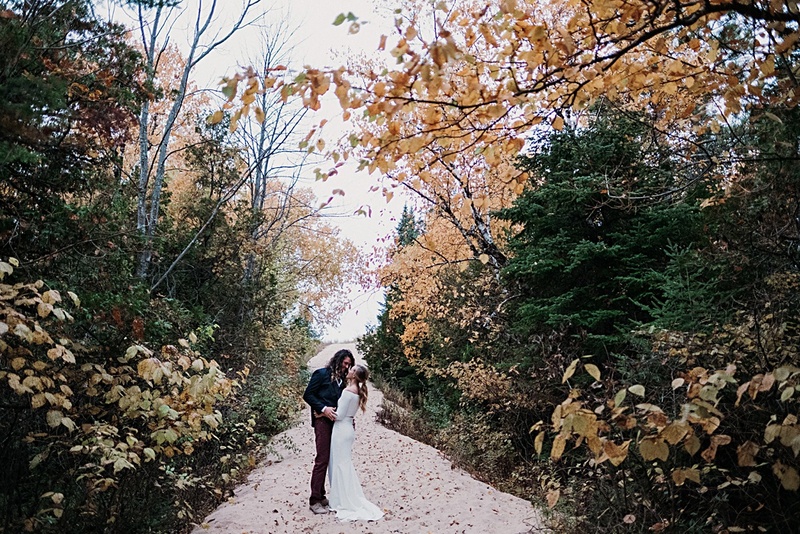 Almost all of our bookings are destination weddings, planned with couples who live outside of Michigan, and for them this is a second home. It’s nice because day to day life can become pretty routine, even in such a beautiful place. But for our couples, this is where so many of their family memories take place, and where they vacation. 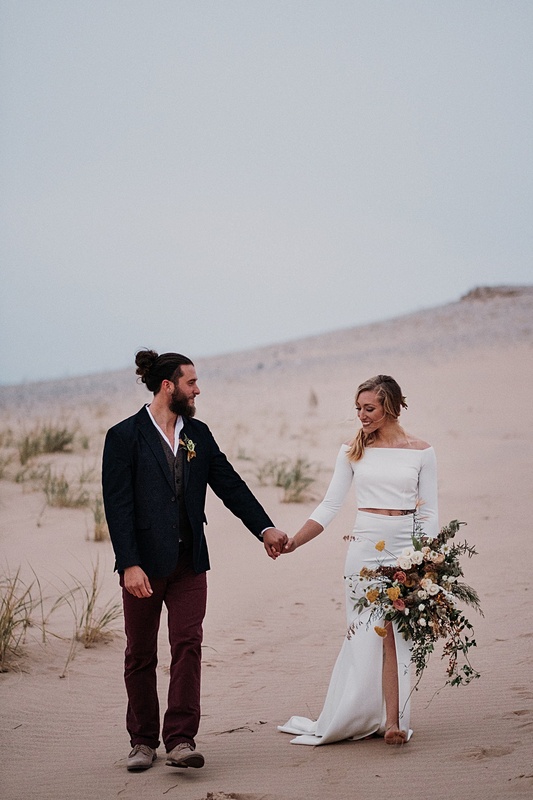 Their enthusiasm helps me to look at every new tour and site visit and wedding weekend with fresh eyes and think ‘wow, this really is a paradise up here’. 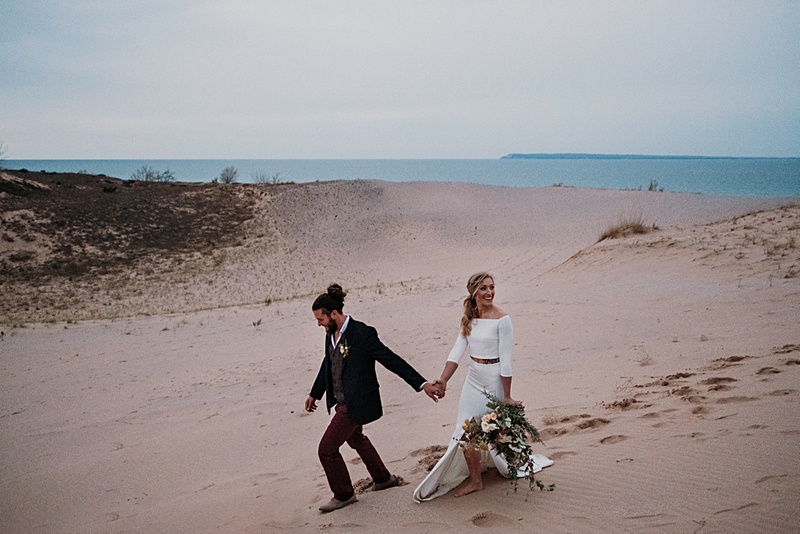 I get really excited for wedding guests, because people who aren’t from the Midwest still don’t really grasp the idea of the Great Lakes until they see them. I think they leave with a much different version of Michigan then when they went in. And we have really good food. 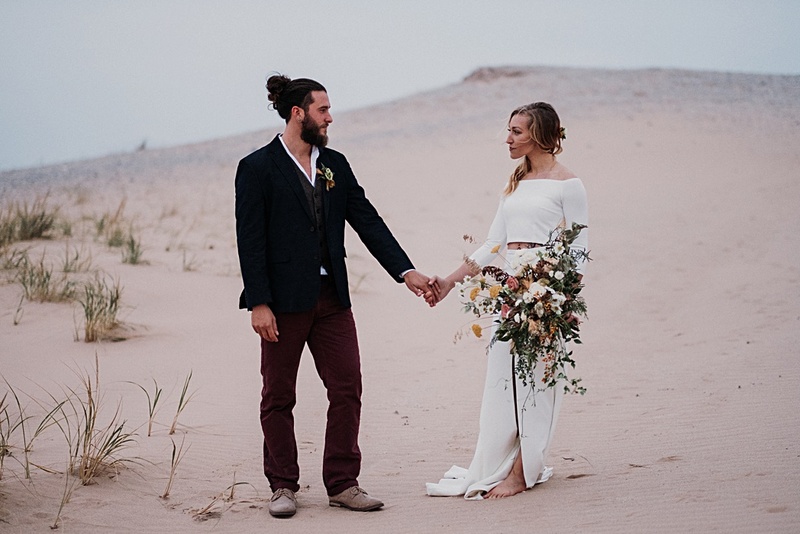 My ideal couples, to be honest are a little like I was last year when I was planning my own wedding in Northern Michigan because I can relate to them most, and feel like I positioned my services to be helpful to them. 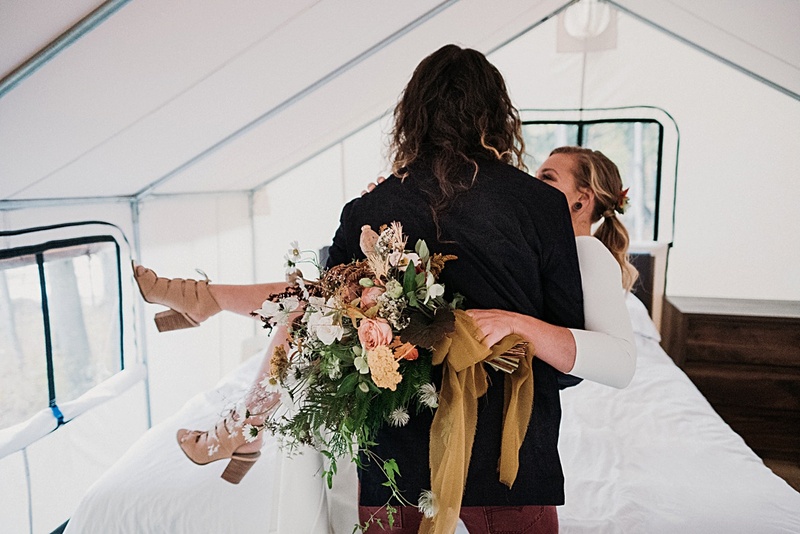 They have a solid relationship and maybe were never the type to think they would be getting married or having a wedding, but eventually decide they want to celebrate with their family and friends. 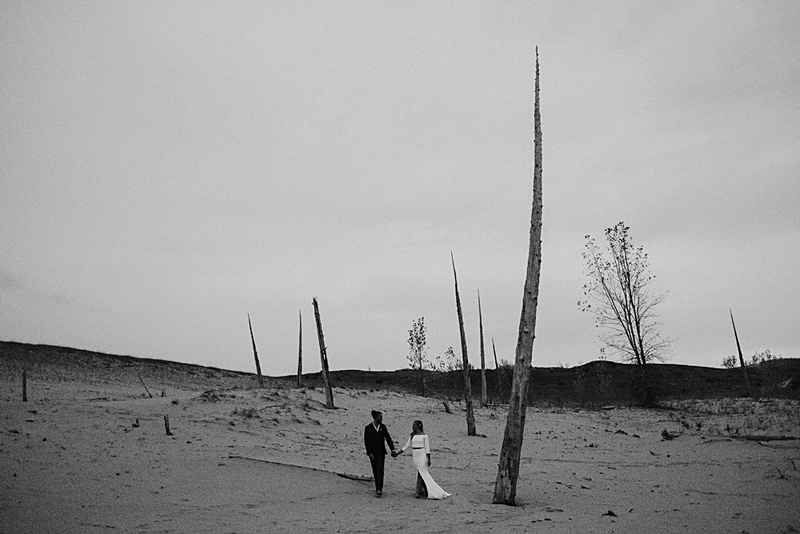 They don’t know where to start even though they are excited by various aspects of their ideal wedding. 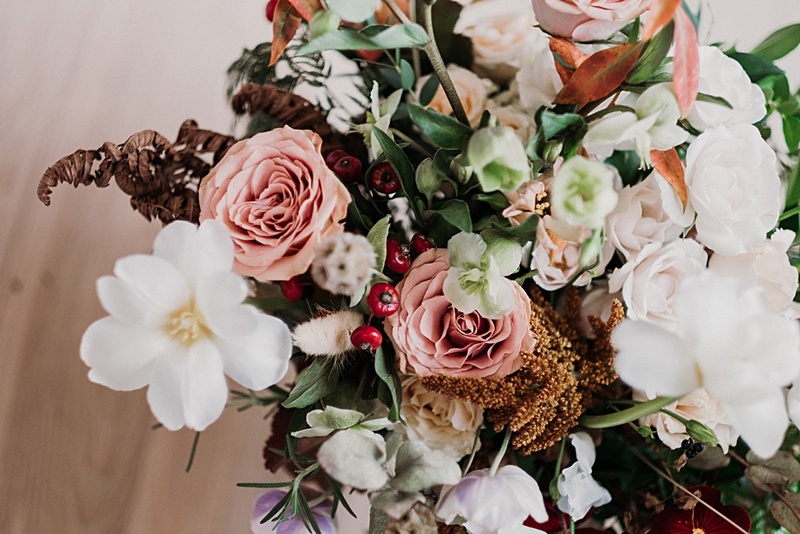 They do know that they really value vendor relationships, and they want a unique wedding that doesn’t follow too many of the wedding industry ‘ rules’. And they don’t want anything too kitschy, cheesy, or fru fru. Like, light on the fru fru. 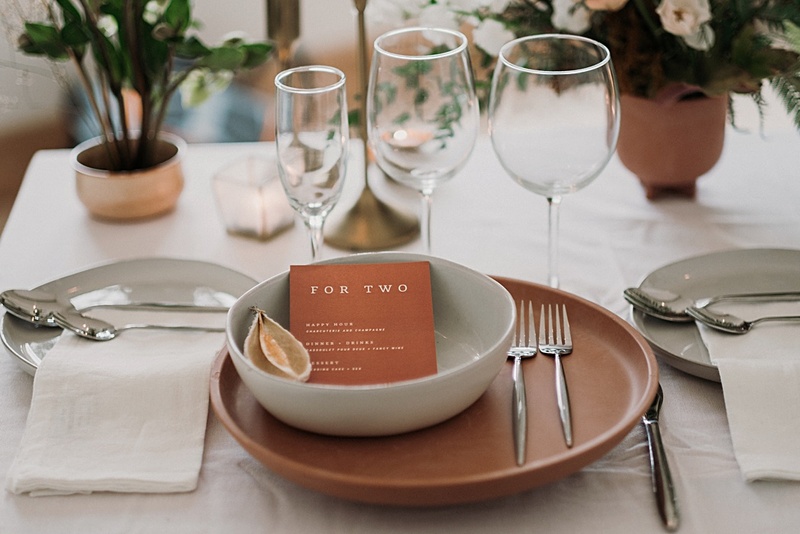 They have a mature communication style with their partner, family, and friends so that we can move through wedding planning as a cohesive team. 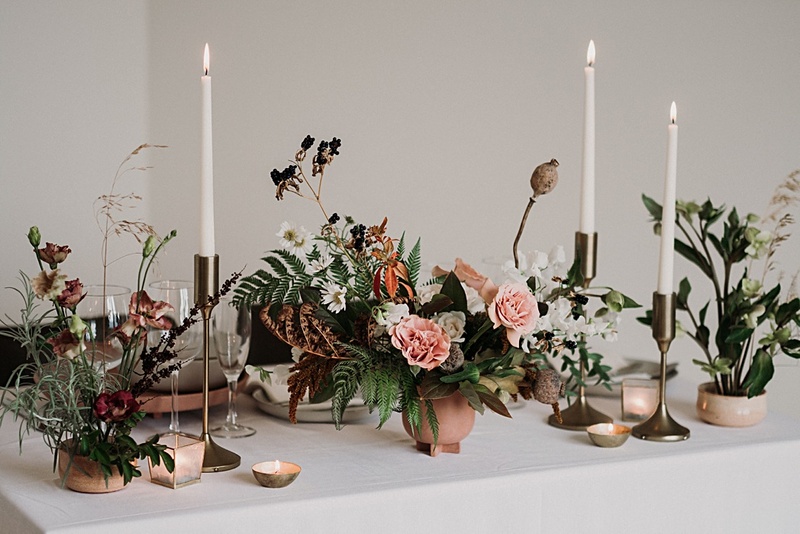 They know that weddings are an investment, and they are excited to work together and possibly with their family and friends to ensure they are investing their time, money, and energy into parts of their wedding that matter most. They love family-oriented celebrations and traditions. 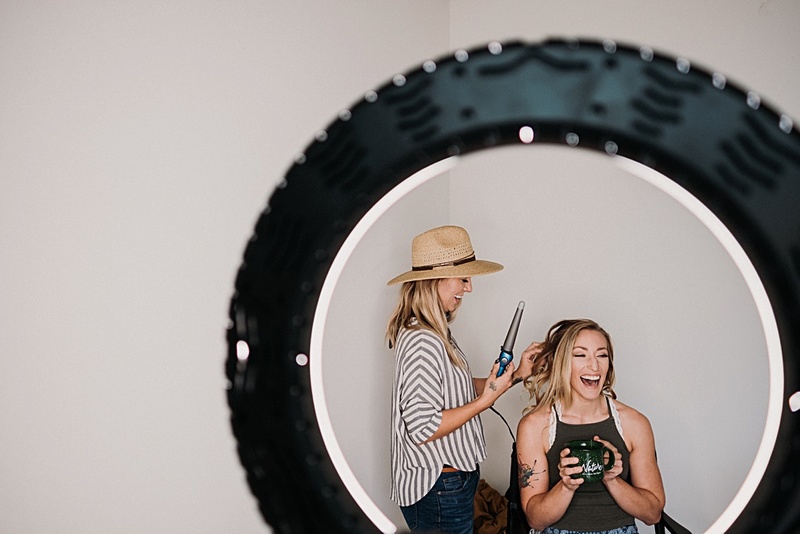 They place a high value on guest experience and in doing so, know that if their guests are taken care of, that allows them to focus on each other during their wedding day and have a ton of fun. 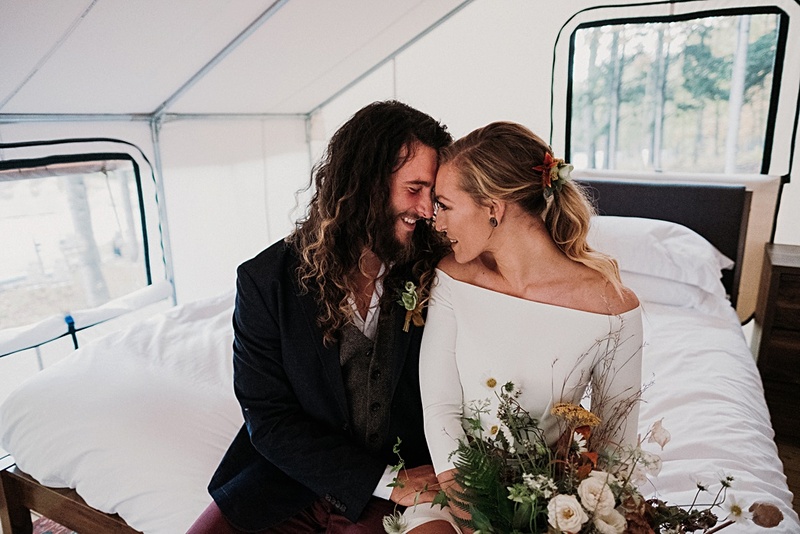 Okay also they have great taste, love good food, get down to some good music, and care about implementing low-waste practices into their wedding planning so I can rest easy at night. Anything else? I loved working with you Josh. That’s all. Thanks so much for this opportunity! 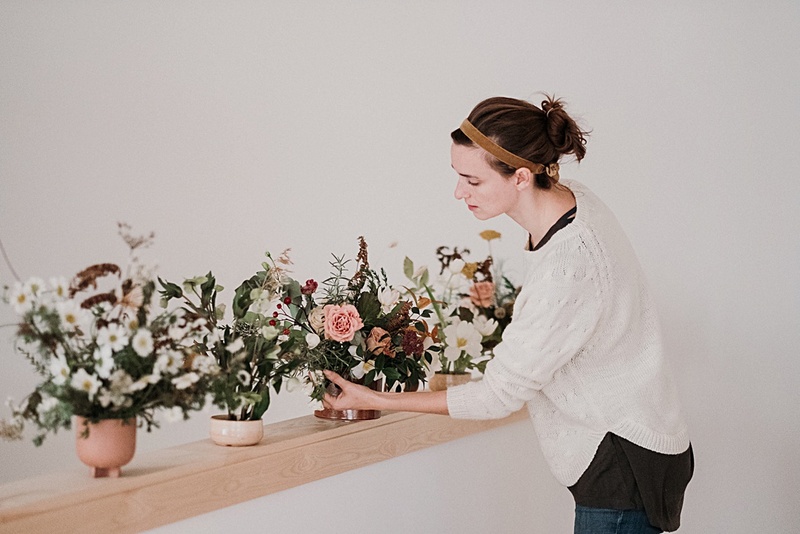 Floral: Lindsey of Windflower Design Co.